Find your State Tax Return today! Still waiting on your 2014 state income tax return? We have all of the states listed by state on our website. Check out our menu bar for more information. 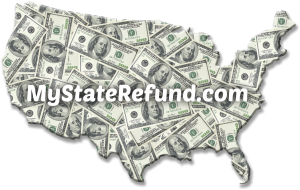 State Tax Return Information is available on “Where’s My State Refund?” website all day every day. States that collect income taxes offer a way to check the status of your state tax refund. They also offer tax department or tax agency websites, which provide information on state taxes. You can track your state tax refund (as well as visit its state tax department website) by clicking your state in the “Where to Track Your State Refund” line on the chart below. For general information about your state, click your state in the “State” line. This entry was posted in My State Refund, State and tagged State Tax Refund, State Tax Return. Bookmark the permalink. Follow any comments here with the RSS feed for this post. Both comments and trackbacks are currently closed.